If you owe money on student loans, car loans and credit card bills, you’re not alone. The latest numbers from the Federal Reserve show that the total national household debt stands at $13.54 trillion. (1) That’s trillion with a “T.” And based on those numbers, it’s safe to say that worrying about debt is a national epidemic. Yikes. Debt is as American as apple pie, but you know as well as we do that it doesn’t taste as sweet. 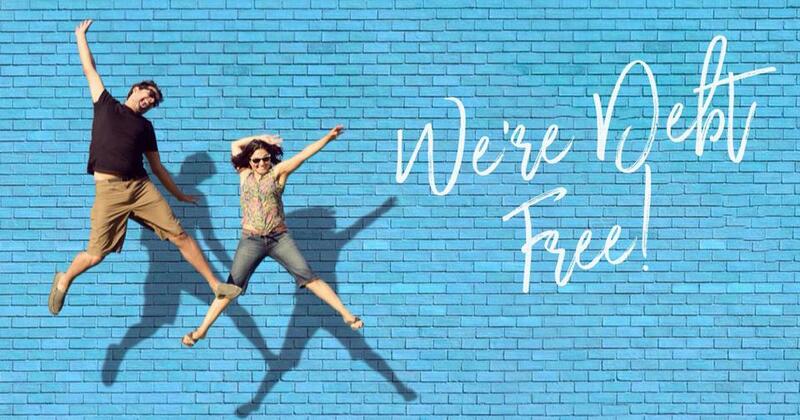 If you stick with us, we’ll show you how to pay off debt and stay out of debt for good. Anything owed to someone else is considered debt—yep, that even includes student loans and car loans. Ongoing bills, like electricity, water and utilities, aren’t considered debt. Those are just variable monthly expenses. The same goes for things like insurance, taxes, groceries and childcare costs. 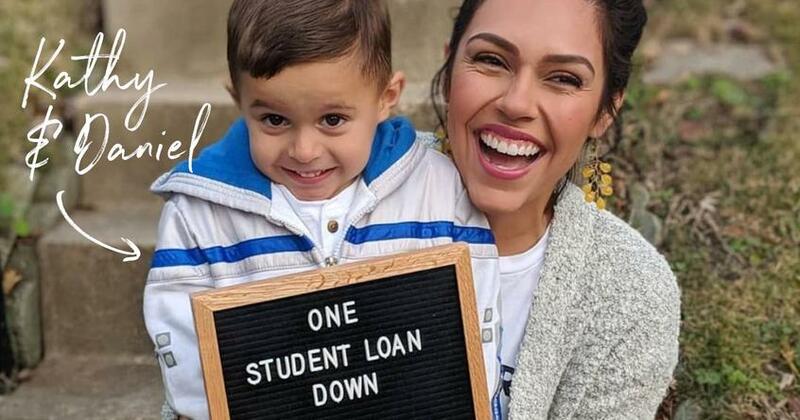 Anything owed to someone else is considered debt—yep, that even includes student loans and car loans. Ongoing bills like electricity, water and utilities aren’t considered debt. Those are just variable monthly expenses. The same goes for things like insurance, taxes, groceries and childcare costs. Now, how you pay for these expenses can turn into debt. If you use credit cards to pay for these expenses, you might be well on your way to racking up a mountain of debt. And while your mortgage is technically a type of debt, it’s the only one Dave Ramsey won’t give you a hard time about—as long as your payments aren’t more than 25% of your monthly take-home pay and you stick to a 15-year, fixed-rate mortgage. But that’s a different rant for a different day. Again, if you owe a balance and make payments to someone, you’re in debt. And the first step to paying off debt is knowing exactly how much you owe. We know that calculating your total debt can be pretty scary. We don’t want you to tally that number just so you know it and then worry about it. We want you to calculate your total amount of debt so you can take action against it. So, if you’ll bring the courage, we’ll bring a super cool debt calculator tool that will add up your debt and tell you how quickly you can pay it off. All you have to do is answer five simple questions. No more hiding your head in the sand—it’s time to face the truth so you can do something about it! Once you get your results, take a deep breath (don’t freak out!) and stay with us. We’ll show you the proven plan that will help you kick debt to the curb for good. This is basically a loan that combines all your debts into one single payment. This sounds like a good idea until you discover that the lifespans of your loans extend, meaning you’ll stay in debt longer. Also, the low interest rate that looked so appealing at first usually goes up over time. Debt settlement companies are the seedy underbelly of the financial world. Run from this option. Companies will charge you a fee and then promise to negotiate with your creditors to reduce what you owe. Usually, they just take your money and leave you responsible for your debt. No, thanks! Never borrow from your 401(k) to pay off your debt! You could get hit with penalties, fees and taxes on your withdrawal. It’s never a good idea to borrow money against your home! You risk losing your house if you’re unable to pay back the loan on time. Just don’t do it! These debt reduction strategies are risky at best, and they’re only treating the symptoms of your money problems. They’ll never help you address the root issue of why you have financial issues in the first place. You don’t need to consolidate, settle or borrow to deal with your debt. You need to change how you engage with your money. Listen carefully: Your money will never change until you do! Did you know—personal finance is 80% behavior and only 20% head knowledge.? It’s true. We know there are a lot of resources out there that will tell you to pay off either your largest debt or the one with the highest interest rate first. And while that makes sense mathematically, paying off debt is more about your motivation than it is about the numbers. In all honesty, hope has a lot more to do with winning with money than math does. 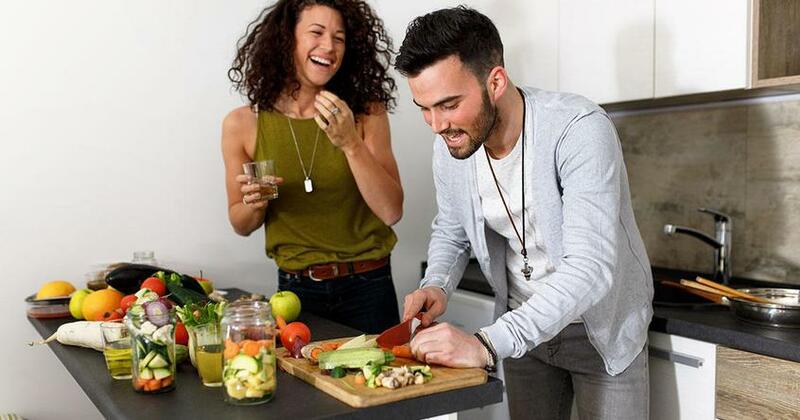 But first things first: It’s time to get on a budget—an EveryDollar budget! Remember, you won’t ever get ahead if you’re spending more than you’re making each month. In order to start winning with money, you have to make a plan and start telling every single dollar where you want it to go. If it’s a little wonky at first, don’t give up! It takes people about three months to start getting into a regular rhythm with a budget that works for them. And we promise: Once you do, it’ll feel like you just got a raise! You know as well as we do that there’s nothing quite like finding a $20 bill in the pocket of those old blue jeans. When you’re on a budget, every month will feel like finding money you didn’t even know you had! And you can guess what we think you should do with it . . . put it toward your debt payments! Now that you’ve got your budget taken care of, it’s time to start paying off debt! And the best way to pay off your debt is with the debt snowball method. This is the proven debt-reduction strategy where you pay off debts in order from smallest to largest, gaining momentum as each balance is paid off. List your nonmortgage debts from the smallest to largest balance. Again, disregard interest rates when you’re writing out your debts. Just stick to listing your debts based on the remaining balance. Make minimum payments on all debts except the little one. Attack the smallest with a vengeance! After you pay off the smallest debt, take the money you were paying on that debt and roll it into the next highest payment. See? 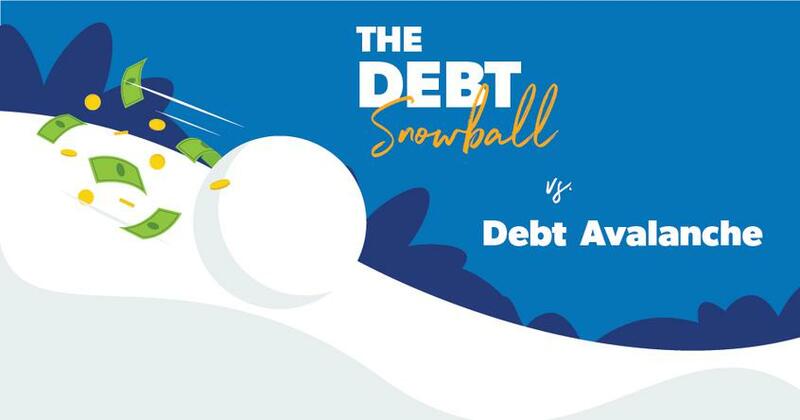 It’s a debt snowball! Repeat this method until you cross off the very last debt. Want to learn more about the debt snowball method? Sign up for this (free) three-day email series that takes you on a deep dive through the debt snowball method, so you can take control of your money for good. And if you want to go even further, check out Financial Peace University. 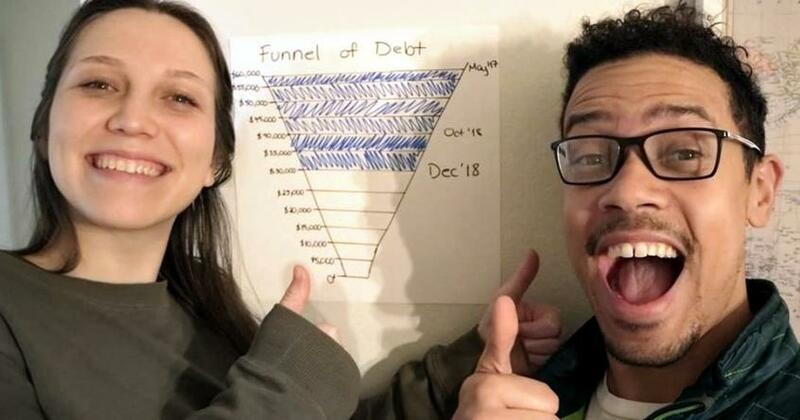 Did you know that the average family who completes Financial Peace University pays off $5,300 in debt and saves $2,700 within the first 90 days? Over 5 million people have used Financial Peace University to budget, save money, and get out of debt once and for all. Now it’s your turn. It’s time to take control of your money and plan for your future. You can do this!